We would like to welcome our newest Screen Partner to our Morgan Hill advertising loop. 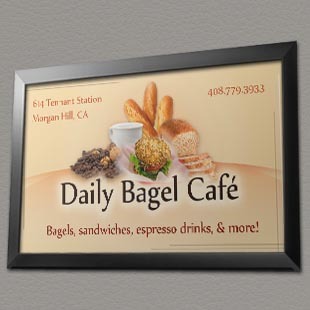 The Daily Bagel Cafe in the Tennant Station shopping center has been our favorite coffee, bagel and sandwich shop for the longest time, so we are thrilled to have them on our advertising team. Stop by and get a cup of their amazing coffee, warm bagels and sandwiches. 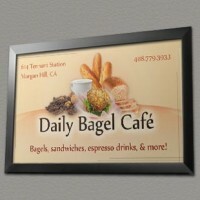 Anybody can offer free Wi-Fi but the Daily Bagel also has a computer available for their customers to browse the internet.